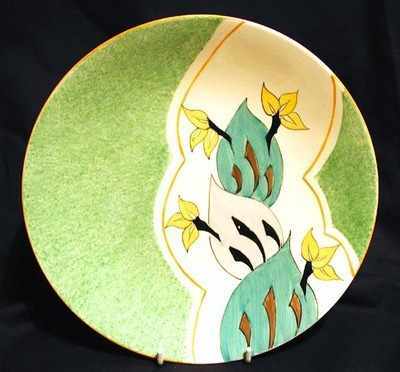 Large Plate in the Green Cowslip pattern. Size 9 inches wide. Excellent condition. Signed "Clarice Cliff".